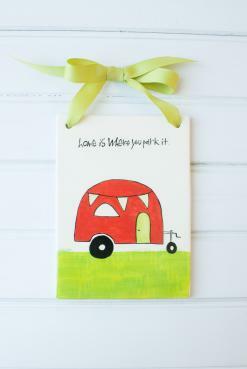 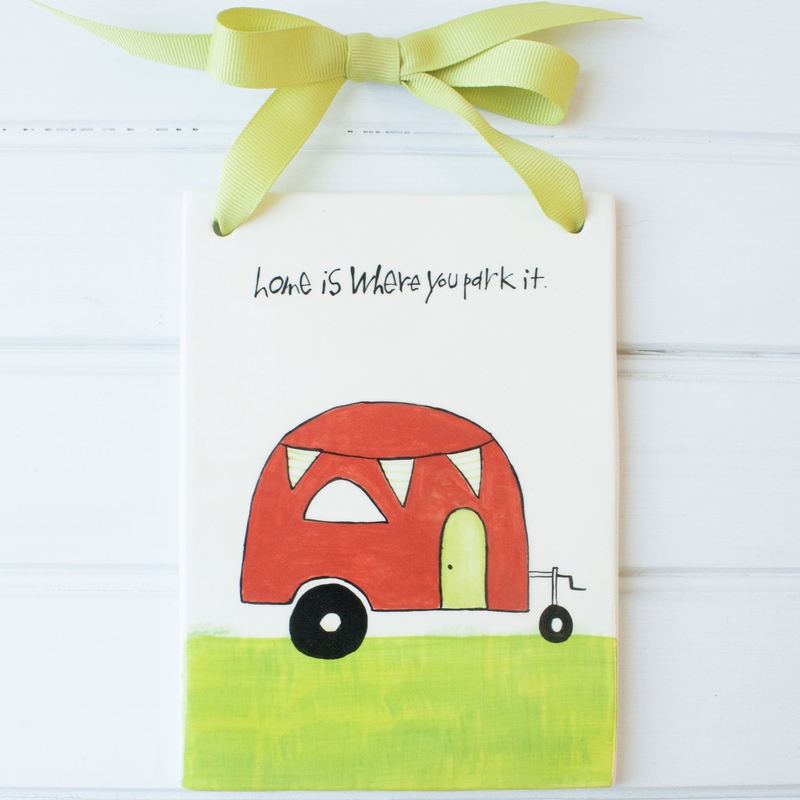 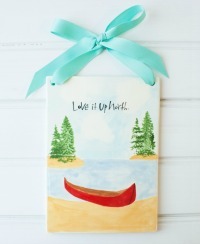 Display your love of outdoor adventure or camping with these 5" x 7" handcrafted ceramic tiles. 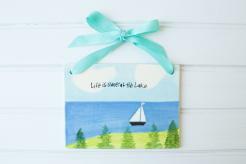 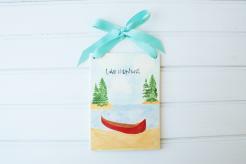 Each sign includes decorative ribbon for easy hanging and is hand painted with canoe, sailboat or camper scene. Various sayings to choose from. 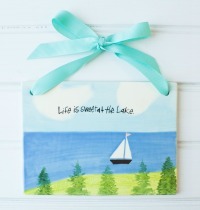 Pricing is for one hanging tile.